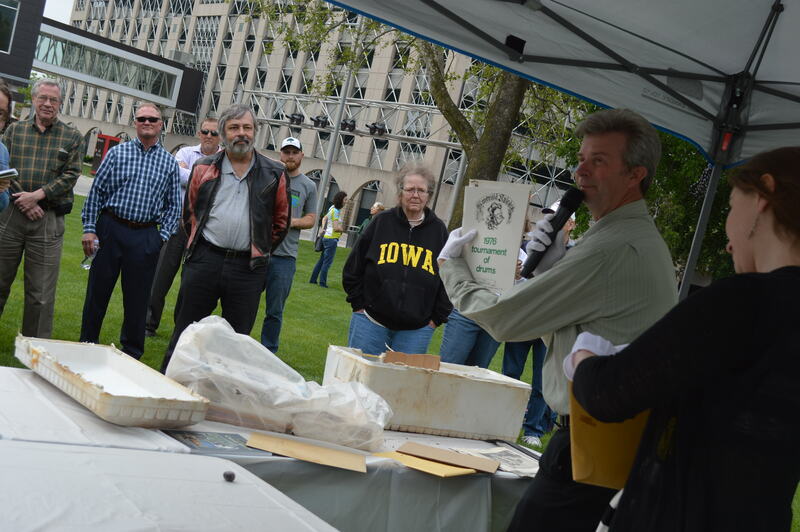 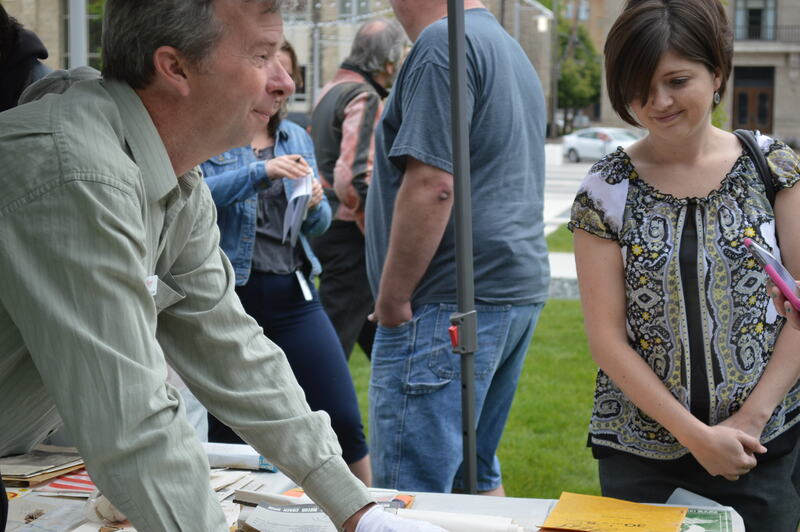 CEDAR RAPIDS — A time capsule, buried 40 years ago in Greene Square Park, was opened to the public Friday, May 20, 2016, to reveal a glimpse of the history of Cedar Rapids. 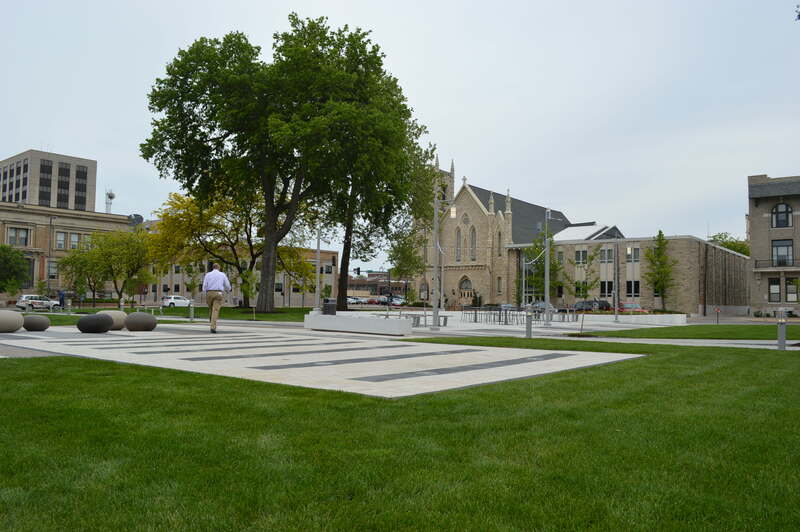 Greene Square, between Third and Fourth avenues SE in downtown Cedar Rapids, has been undergoing a $1.9 million renovation the past two years, and the park’s rededication also took place May 20. 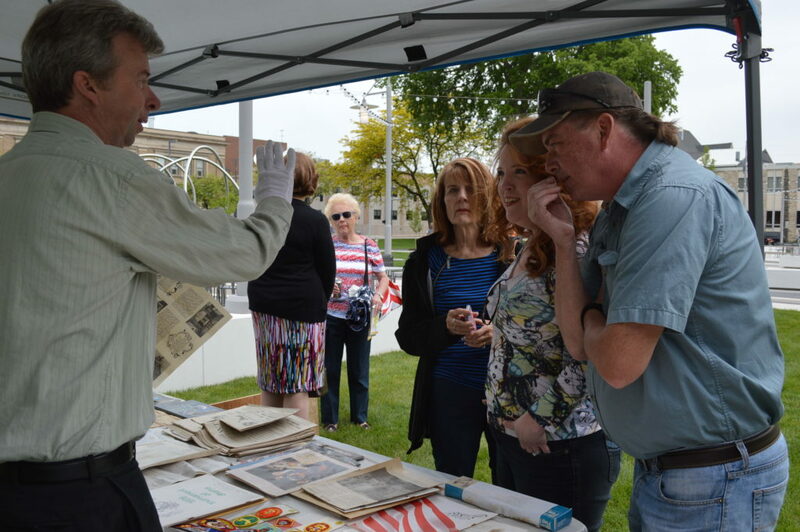 City historian Mark Stoffer Hunter unveiled the contents of the time capsule, buried in the park during a Flag Day ceremony on June 14, 1976, during the country’s bicentennial. 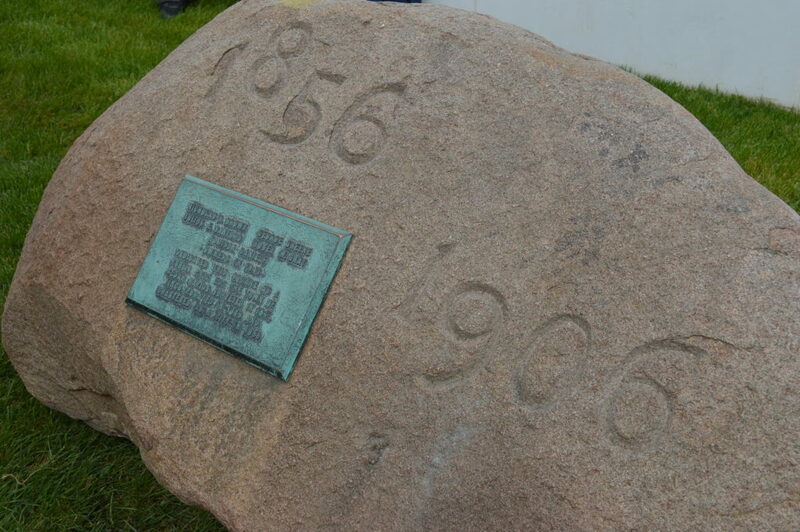 Stoffer Hunter remembered that day, as he attended as a youngster along with other Czech School students, but didn’t recall exactly where the time capsule had been buried. 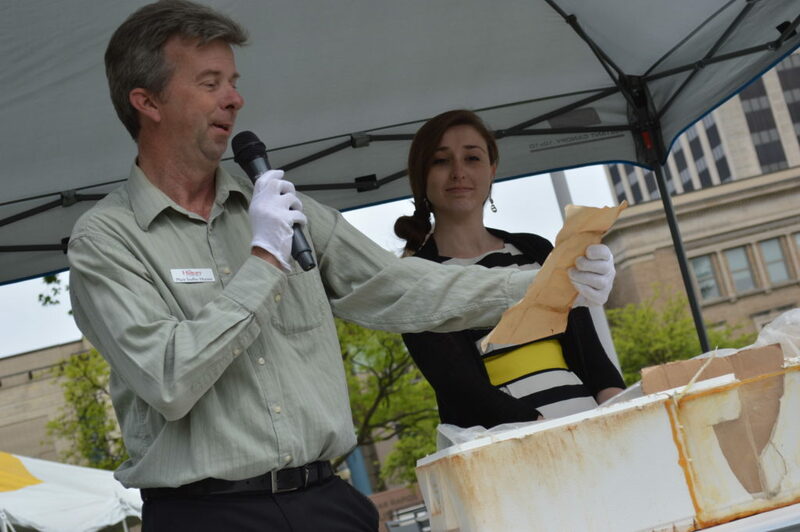 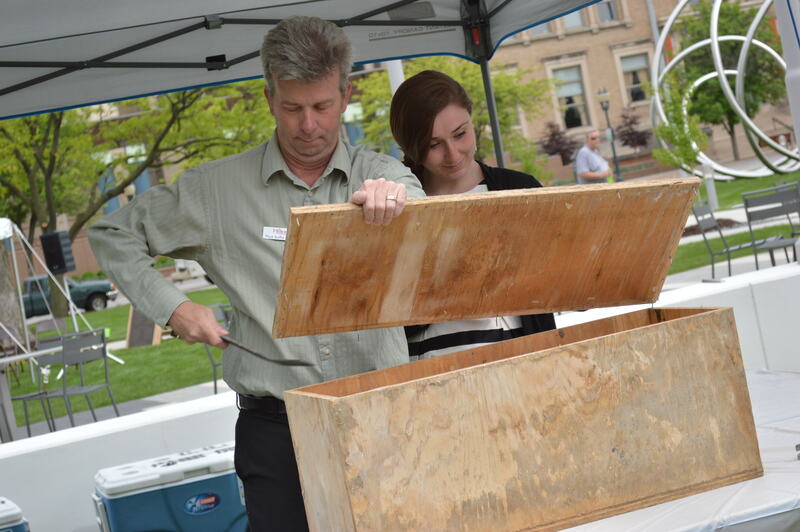 That led to a search by city crews that finally resulted in the box being unearthed on the last attempt, he told the crowd that gathered to watch the opening of the time capsule, which was undamaged by water. 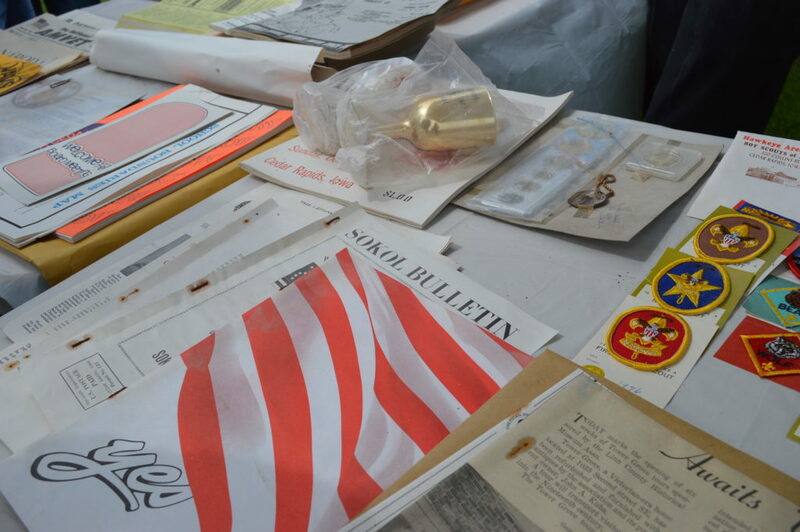 Among the “treasures” were commemorative goblets from Sokol Cedar Rapids and St. Wenceslaus Church, a set of bicentennial coins and Boy Scout patches. 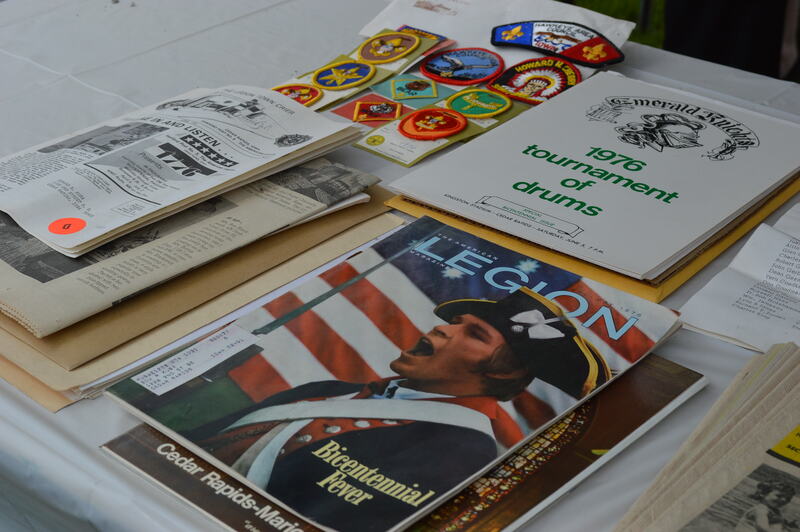 Most of the items were written materials about Czech organizations and other local groups, such as the Emerald Knights Drum & Bugle Corps, which included a photo and 1975 roster. 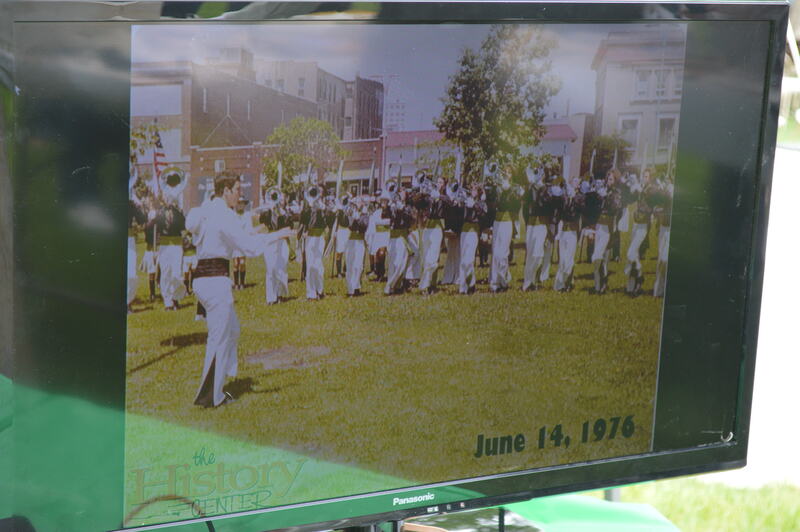 The corps also performed at the ceremony to bury the time capsule. 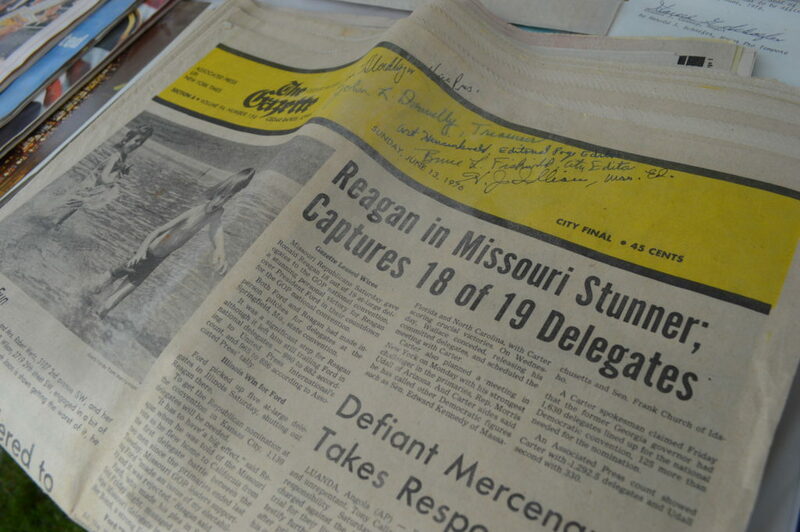 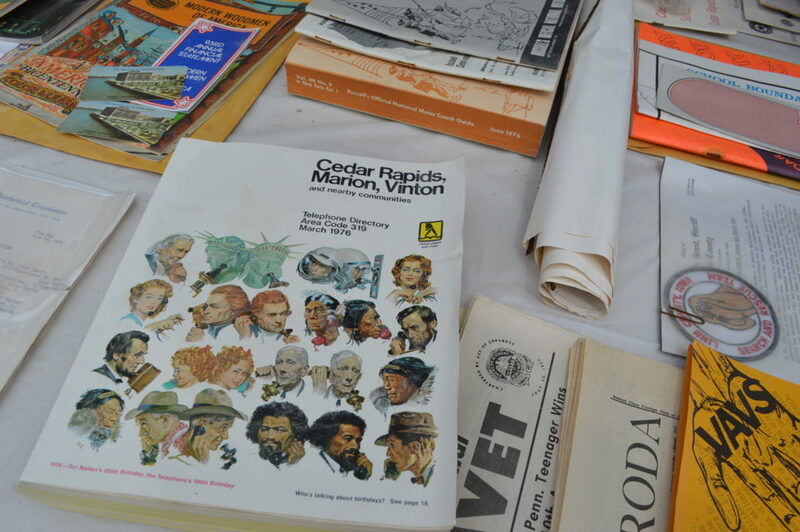 A copy of the Gazette — signed by editors and board members — stamps from the Cedar Rapids Stamp Club, a 1976 phone book, Tournament of Drums program, American Legion publications, school boundaries map, and a letter from then-state representative Joan Lipsky, also were included. 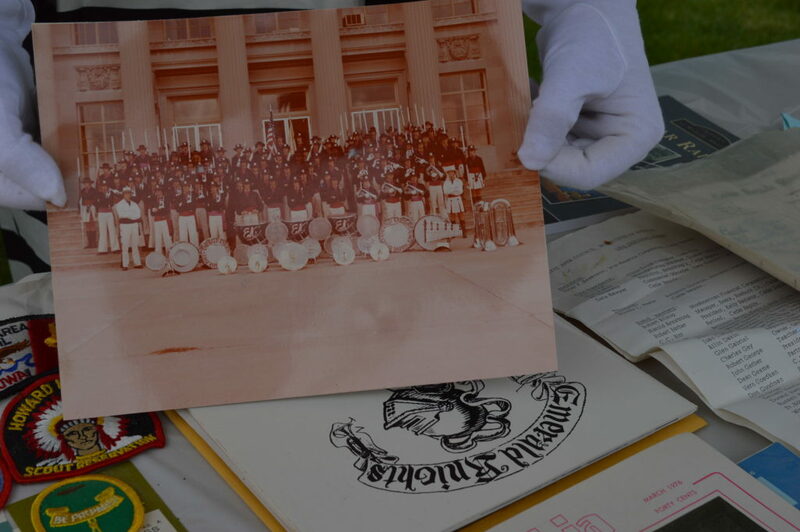 Many of the items reflected the interests of funeral home director Edward Kuba Sr., who assembled the time capsule and was instrumental in Czech School and a number of Czech organizations. Stoffer Hunter was surprised to find a letter from a city worker who noted that the box was accidentally damaged during park renovations in 1985. 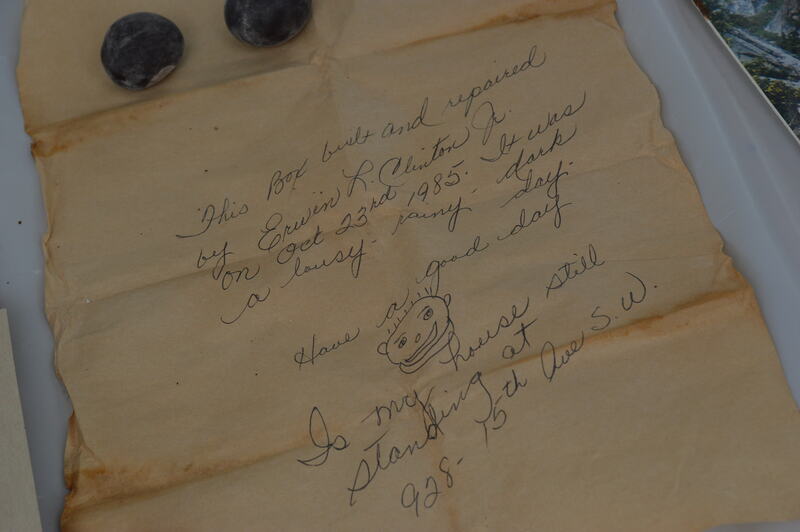 The worker, Erwin Clinton Jr., mentioned that he repaired the box on a “lousy – rainy – dark” day in October of that year. 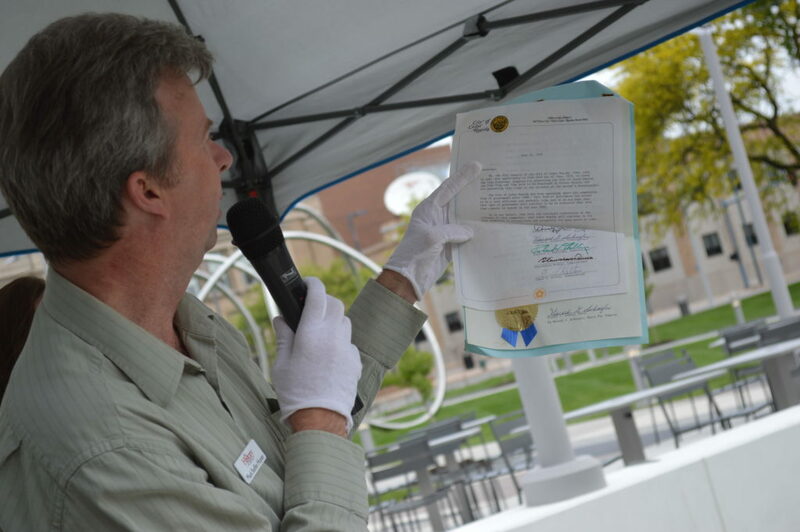 The time capsule had been buried with no marker to indicate what year it should be opened, but Stoffer Hunter found one document inside that said that should take place in the year 2000. 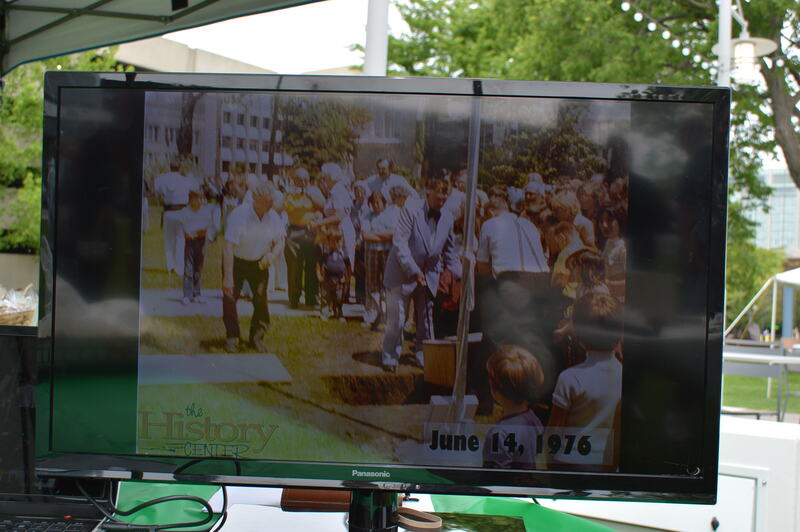 “We are 16 years behind,” he joked. 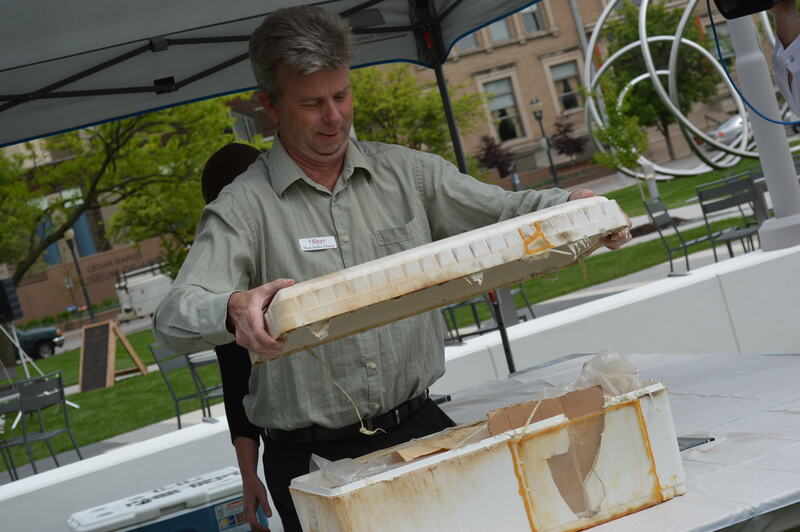 The History Center, where Hunter Stoffer serves as research historian, will retain the artifacts for the time being.